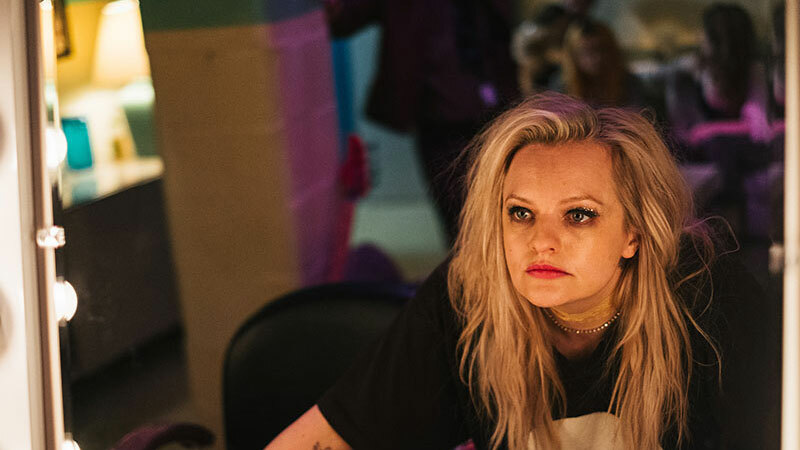 Becky Something (Elisabeth Moss, The Handmaid’s Tale) is a ’90s punk rock icon who once filled arenas with her grungy all-female trio Something She. Now she plays smaller venues while grappling with motherhood, exhausted bandmates, nervous record company executives, and a new generation of rising talent eager to usurp her stardom. When Becky’s chaos and excesses derail a recording session and national tour, she finds herself shunned, isolated, and alone. Forced to get sober, temper her demons, and reckon with the past, she retreats from the spotlight and tries to recapture the creative inspiration that led her band to success. Like Courtney Love channeling Axl Rose, Moss is a force of nature, with more issues than the entire run of Rolling Stone magazine, in a career defining performance that is both exceedingly repellant and heartrendingly tragic. Supported by a star-studded cast, including Eric Stoltz, Cara Delevingne, Dan Stevens, Amber Heard, Ashley Benson, and Virginia Madsen as Becky’s ever-exasperated mother, Her Smell pulls no punches as it valiantly endeavors to tear away the layers of drugs and madness to dissect the patterns of self-destruction that have long fueled the greatest artists.